Canada is taking the first step toward negotiating a free-trade deal with Japan, the world's third-largest economy and one of the most reluctant to enter formal trading arrangements. The two countries have agreed to launch a joint study on the feasibility of establishing an economic partnership, Trade Minister Peter Van Loan announced Wednesday. 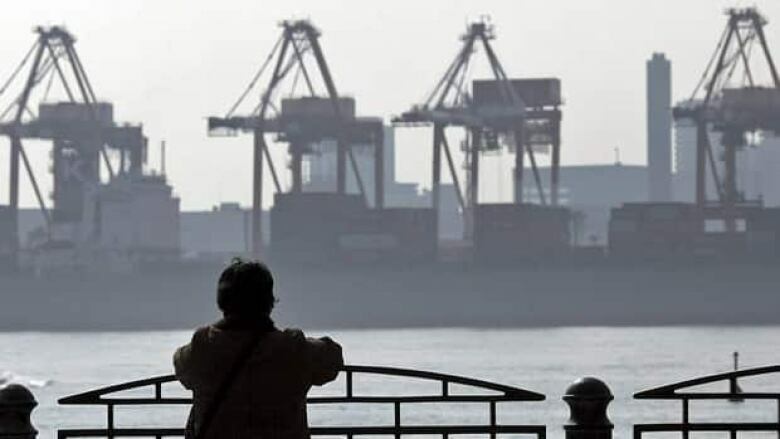 "Japan has historically been quite closed to the possibility of trade agreements with others and we had been pressing them for some time," Van Loan said in an interview with CBC News. With Japan adopting a new policy on economic partnership agreements, Van Loan called it a "real opening to the world in terms of the willingness to consider free-trade agreements and I'm delighted Canada's there as one of the first they are dealing with." Liberal international trade critic Martha Hall Findlay called news of the exploratory talks a positive development. "Being a free trader, I am encouraged by the fact the two countries are willing at this point to engage in a study," she said. "I think that's great." Van Loan said the breakthrough occurred last fall when Japan adopted a policy more amenable to trade agreements. Agricultural protectionism will likely be a key stumbling block, he added, "but that being said, we don't grow a lot of rice in Canada." Last year, Canada's exports to Japan totalled about $9.2 billion. Van Loan said it was too early to say what mutual benefits might be derived from a formal deal, but listed agriculture, natural resources and manufacturing products as three sectors that could gain from reduced barriers. He also pointed out that Japan is a major investor in Canada's auto manufacturing sector, with many of its vehicles exported to the U.S.
A representative of the corporate world was quick to commend the free trade initiative. "Japan is one of Canada’s largest trading partners and a significant source of foreign investment," said John Manley, president of the Canadian Council of Chief Executives. "Our bilateral economic relationship is strong, but it could be much stronger and more diversified," he said. Canada is also currently involved in trade talks with both the European Union and India.